The Henry W. Grady High School Mock Trial Program got its start in 1994. Since its inception, a number of Atlanta law firms have supported the program through providing attorney coaches, practice space, and financial donations. And since 2010, the law firm of Sutherland Asbill & Brennan LLP has Partnered with the Grady Mock Trial Program by graciously making its offices and state of the art mock courtroom facilities available to the team. The team competes in the Georgia High School Mock Trial Program of the Young Lawyers Division of the State Bar of Georgia, International High School Mock Trial Tournaments conducted by the Empire Mock Trial Association, and the Annual Public High School Mock Trial Invitational Tournament sponsored by the Foundation. 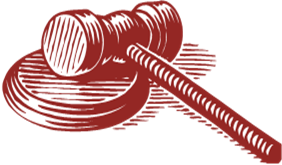 For twenty years, the Grady High School Mock Trial Program has developed teams that have won Regional Championships, State Championships, and the 2010 World Championship title at the Empire City International High School Mock Trial Invitational World Championship held in New York City. The City of Atlanta’s Phoenix Award: 2005, 2008 & 2011. Four Grady Student Witnesses have won Outstanding Student Witness Awards in every round of the Regional, District, and State Competition in which they competed in a season -- Sean Corley, Asa Beal, Hannah Mitchell, and Orli Hendler. Two Grady Student Attorneys have won Outstanding Student Attorney Awards in every round of the Regional and State Competition in which they competed in a season – Matt Westmoreland and Archie "Reggie" Kinnane. In 2005, first-year student Lardycia Manns was a "Substitute Timekeeper" at the Regional Competition and a Starting Timekeeper at the State Championships. Six weeks later she competed as a Starting Student Attorney for Grady at the National High School Mock Trial Championship in Charlotte, NC. At the 2009 National High School Championships held in Atlanta, GA, Gus Rick was one of only 3 Student Witnesses at that competition to be named an Outstanding Student Witness. To achieve that honor Gus had to be named the Outstanding Student Witness in at least 3 of the 4 rounds of competition. 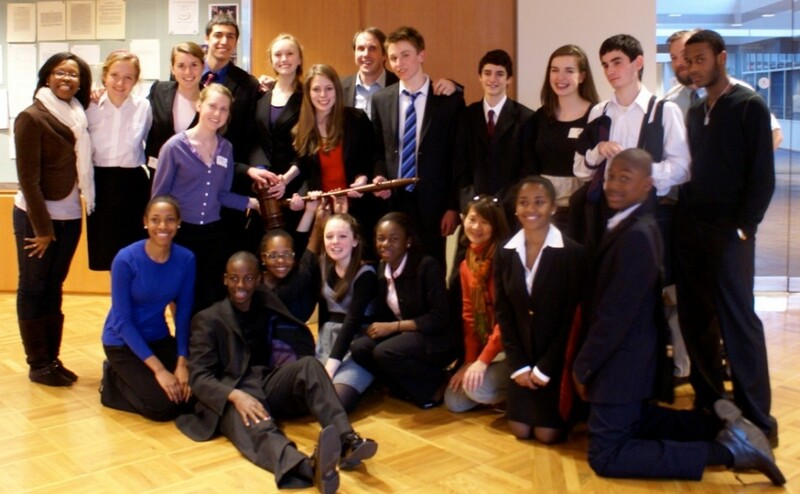 On the 2010 World Championship team -- 3 of the 6 competing Student Attorneys had never before competed as Student Attorneys. And 4 of the 6 competing Student Witnesses had never before competed as witnesses. At the 2010 Empire World Championship Shaun Kleber was the only student to win both an Outstanding Student Attorney Award AND an Outstanding Student Witness Award. 1995 Grady High School Mock Trial Program established. Sponsored by the law firm of Powell Goldstein Frazer & Murphy, Lou Sartor served as the team's first Teacher Coach. Chris Galanek and Carl Gebo, both Powell Goldstein attorneys served as the team's first Attorney Coaches. Grady HS Mock Trial Teams have participated in the closest State Semi-Final and Final Rounds in the history of Georgia High School Mock Trial State championships. In 1999, Grady faced Clarke Central High School in the State Final Round. The two teams each won one room and won equal numbers of ballots across both rooms. The tie-breaker was total points and Clarke Central had scored 33 points more than Grady out of a possible 2,640 total points -- a 1.25% point differential. Clarke Central went on to win the National High School Mock Trial Championship in 1999. In 2004, Grady faced Clarke Central High School in the State Semi-Final Round. The two teams each won one room and won equal numbers of ballots across both rooms. The total point tie-breaker went to Clarke Central by 6 points out of a total possible 1200 points -- a 0.50% point differential. Clarke Central went onto win the State Championship in 2004. In 2008, Grady faced Jonesboro High School in the State Final Round. Once again the two teams each won one room and won equal numbers of ballots across both rooms. This time, the tie-breaker favored Jonesboro, but by only 4 points -- a 0.15% point differential. Jonesboro went onto win its second consecutive National Championship in 2008.